To TAV or not to TAV -- that is the question. 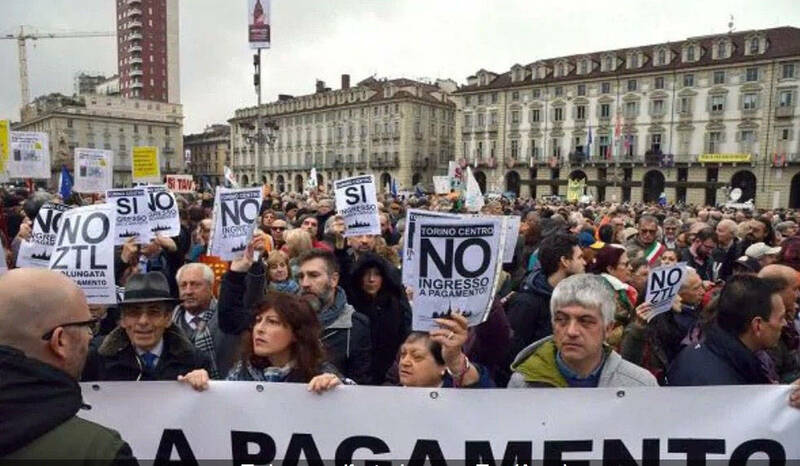 Turin and its Alpine valleys are settings for demonstrations both for and against, in an issue that divides the government, and risks bringing costly EU sanctions down upon Italy's head. ROME -- To TAV or not to TAV -- that is the question that divides the government, and threatens to bring European Union wrath down upon Italy's head. For the Treno Alta Velocità (high speed train) a projected 35-mile-long train tunnel is to be built linking Turin in Italy with Lyon in France and, by easing the connections, Naples to Paris. The tunnel would have independent galleries for trains going in either direction, and links constructed to stations en route. For this, the European Union contributed, last year alone, $930 million; if Italy halts the project the total the EU threatens to reclaim is considerably higher, dateing back to 2014. Back in 1980 a toll-road tunnel was inaugurated between Col du Fréjus in France and Bardonecchia in Italy. Only eight miles long, the Frejus handles 80% of the commercial traffic between the two countries, and is used by about a million vehicles a year. However, in 2005 after a fire in the tunnel killed two workmen, the Fréjus was shut down for weeks. Again in 2007, 2010 and 2014 it was again closed due to tunnel fires, fortunately non fatal. Today's TAV quarrel is heated and discordant. For the M5S, "Not a single centimeter of the tunnel has been completed," whereas, for the Lega, over 15 miles are excavated -- and last week Deputy Premier Salvini made a point of being shown on TV with the workmen inside of one of these. For his co-Deputy Premier Luigi Di Maio of the M5S, future costs are wasted money whereas, for the Lega, completion would cost less than leaving it partially complete. The TAV debate actually began three decades ago after the French proposed a Train à Grande Vitesse (TGV) that would cut through the Val di Susa. Backing the project in Italy were, among others, the Piedmont Region, the City of Turin, and local businessmen and industrialists, including Fiat through the Agnelli Foundation. In 1992, Italy and France approved the project, and the EU inserted the TAV into its list of 14 "priorities projects," slated to begin by Jan. 1, 1997. EU contribution to ongoing feasability studies have so far amounted to $473 million. In 2001 the two countries signed an agreement in favor of the project. This was ratified in 2003 again by the European Commisssion. Since then variants have been proposed every few years. The latest, approved in Italy in 2015, said that the almost 11 miles within the Italian territory would include 7.5 miles in the main tunnel; by contrast, the French portion would involve 28 miles of tunnel. In the early 2000s demonstrations by the "No TAV Movement" began. Just 11 months ago 4,000 at Sant'Ambrogio near Turin vicinity marched against the TAV. Shortly after the national general elections last March, the two-party coalition government linking the Movimento Cinque Stelle (M5S), headed by Di Maio, and the Lega, headed by Matteo Salvini, took opposite sides on proceeding with its construction: M5S with the No Tavs, the Lega with those in favor. But meantime work had already begun, with construction in 2011 of a 4-mile exploratory tunnel to study the geology of the area within the mountain arc. No TAVs included local mayors and administrators. Some pelted trucks with rocks, blocked access to the work site, and organized round-the-clock sit-ins with camp kitchens and music. One claimed that, "The TAV won't be built, not because there's no money, but because they lack clear ideas and because we are here. All they can do is begin the work so as to grab the money." In a pitched battle against the tunnel workers on July 13, 2011, two hundred demonstrators and police were injured. Last Oct. 12 a Turin court convicted sixteen activists for violence during yet another demonstration in the Val di Susa in June 2015. Other court convictions in 2016 involved organized crime efforts to profit from transport of building materials to the site where work was underway. The battles continue. 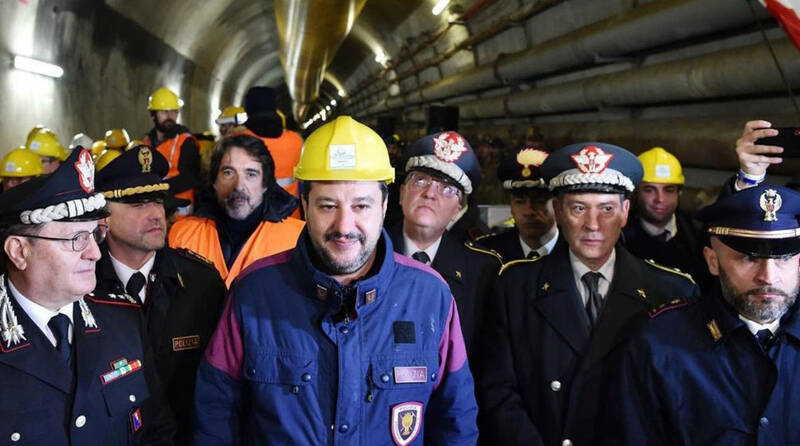 Although local communities have protested a presumed environmental impact, Deputy Premier Salvini, in contrasto with Di Maio, claims that once the tunnel is complete, "it will take a million big trucks off the roads, with eventual benefits for the environment." The M5S also objects that local highways need improvement far more than Italy needs to go from Turin to Lyon. Italy's Transport Minister Danilo Toninelli, of the M5S, shouted on national TV on Feb. 5 that, "No one wants to go to Lyon anyway." No TAV was one of that party's short list of election promises, and, even as Di Maio and his party continue to slip behind in every poll, they cling to that position all the more. Those rejecting this oft-heard claim try to explain that this is only a miniscule portion the TAV link, which actually stretches 168 miles. An updated estimate of the total costs, to be divided among Italy, France and the EU, is due to be presented within weeks. But to date a reliable estimate is that the total cost will be some $28 billion, with Italy's portion $9.8 billion, the EU $9.94 billion, and France, $10.2 billion. However, proposals to reduce the costs by postponing or even eliminating construction of some of the rail connections to stations in some towns are under discussion. Can this bitter, complex issue can bring down the government? 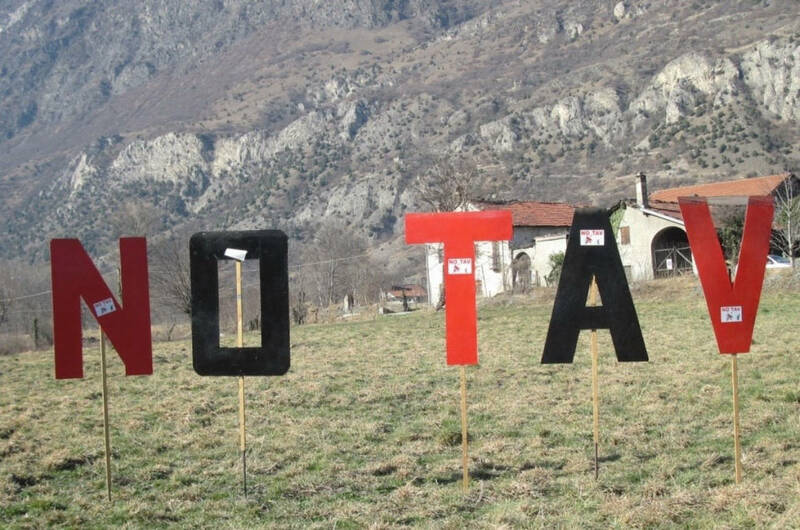 Regional elections in the Abruzzo on Feb. 10 may give an indication. If Salvini's party surges further ahead, as polls suggest, Di Maio may be obliged to back down on the TAV so as to avoid being eliminated from the government and reducing his party to a shadow of its former self. In a complete reversal of their positions, latest polls show the Lega continuing to grow, with over 36% of the potential vote, as compared with the M5S,continuing to shrink, now down to under 21%.